Each of our vintages is described hereafter, you will discover both the AOC Minervois ; the reds, Abrensis and EnVie, and the Rosé, and the IGP Coteaux de Peyriac; with l’Estrangièr in white, and Insouciance in red. 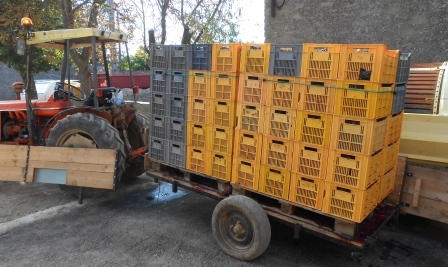 All of our grapes are manually harvested and made into wine by us; they are derived exclusively from plots belonging to the Domain, and are organically farmed. So that you can fully appreciate the authenticity and complexity of our wines, and to answer some relevant questions, please see our tasting recommendations below. 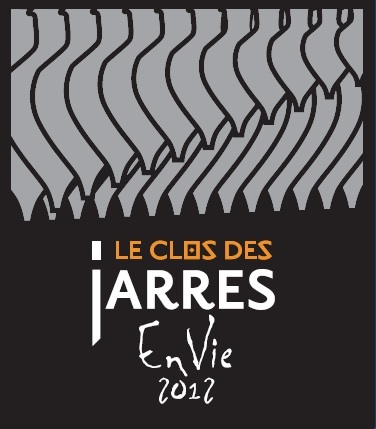 Clos des Jarres wines are all sealed with natural cork stoppers, obtained from sustained cork forests in Portugal, certified as fit for use in Organic Agriculture by Ecocert. These corks have been sorted and carefully chosen to allow a quality corkage that allows an even maturation of our wines. Of course we run the risk of an occasional ‘cork taste’, but we would rather the natural taste of cork than synthetic or glue based stoppers with but a smidgen of cork dust. Wine can only fulfil its true potential when properly stored; it should be kept at a fairly constant temperature, preferably somewhere cold and dark. 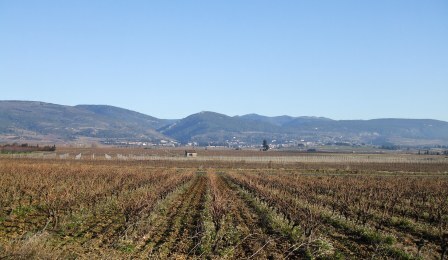 A slight variety in temperature throughout the year is to be expected, and will not affect the maturation of your wine. Even once bottled, the wine is alive, and therefore will give you the greatest pleasure after it has been allowed to breathe, be sure to decant! Our wines are neither filtered nor clarified, so some natural lees sediment may occur at the base of the bottle; this is natural, and will in no way affect the taste and quality of the wine. A lightly effervescing wine is the result of gases (naturally present during the fermentation process) dissolving into the wine. Tasting will reveal a slight tingling sensation on the tongue. If this happens, don’t panic, as a simple decantation should be able to stop this effect. Naturally present within all wine, the gas (CO2) protects the wine from oxygen, reducing the need for added sulphites. Sulphur, or sulphite, has been used in the wine-making process since Roman times. 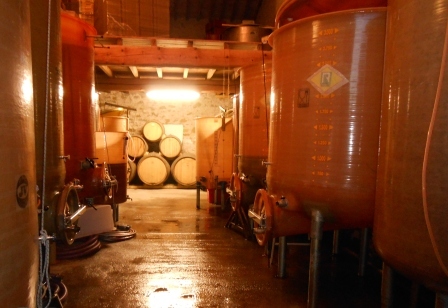 It allows the winemaker to slow down the maturation process, resulting in wine that can be enjoyed for many years. It protects against any oxygenation effects (the aging process) and against bacteria and yeasts (which turn wine into vinegar). 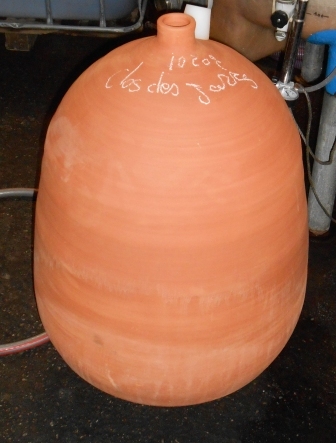 At the Clos des Jarres, our dosages of sulphur are extremely low; the absolute minimum amount necessary to ensure a proper maturation of the wine that we bottle.